To evaluate the efficacy of the 7000 series and the Plasma BAR on reducing Staphylococcus aureus, Pseudomonas aeruginosa, Escherichia coli, and Bacillus subtilis var. niger. A 1 m3 volumetric isolated test chamber was used for testing. One HVAC device was placed on the floor of the chamber. Airborne bacterial counts were measured before turning on the HVAC device. 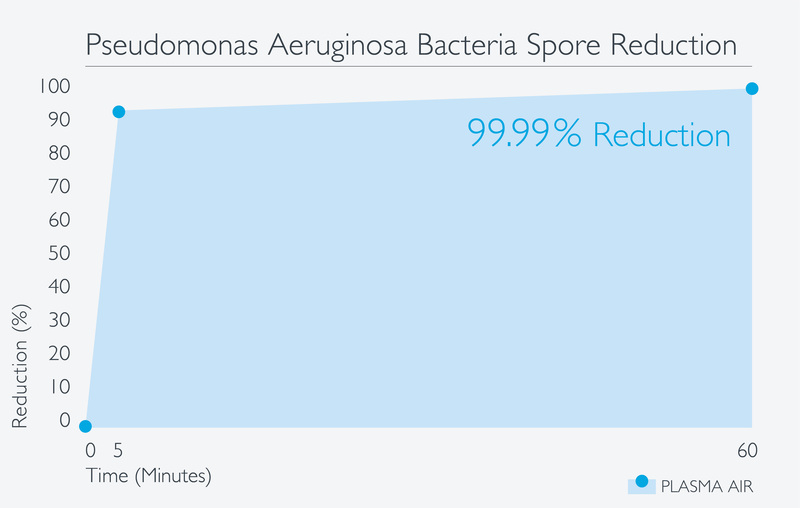 After one hour, testing showed 91.50% reduction of Staphylococcus aureus, 99.99% (no growth) reduction of Pseudomonas aeruginosa, 91.15% reduction Escherichia coli, and 89.30% reduction of Bacillus subtilis var. niger.